For most of us, portrait photography is a challenging – yet important – photography technique to master. This event specifically caters to those of you who wish to learn/practice the art of portraiture photography. We will share all we know to simplify this genre for you, with hands on training to create dynamic portraits on location. 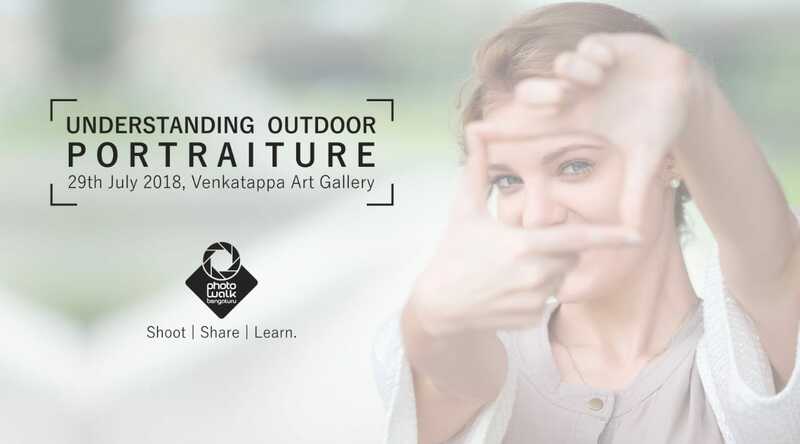 Krishna Adoni, an active member of Photowalk Bengaluru would mentor the participants and would be joined by the PWB team in teaching the subtle art of making portraits. Necessary Gears : Camera, Any lens and full of Passion. Fee : Its a FREE event.